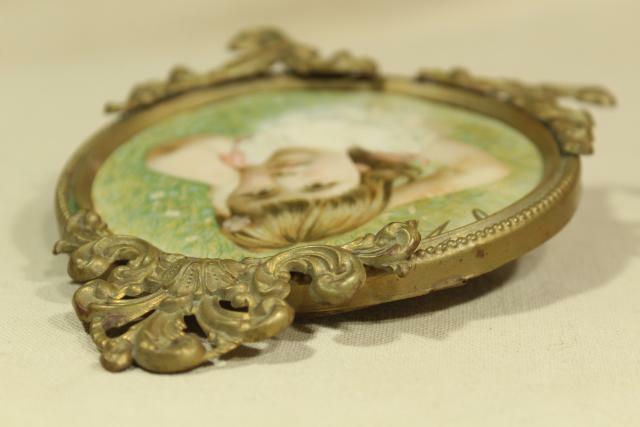 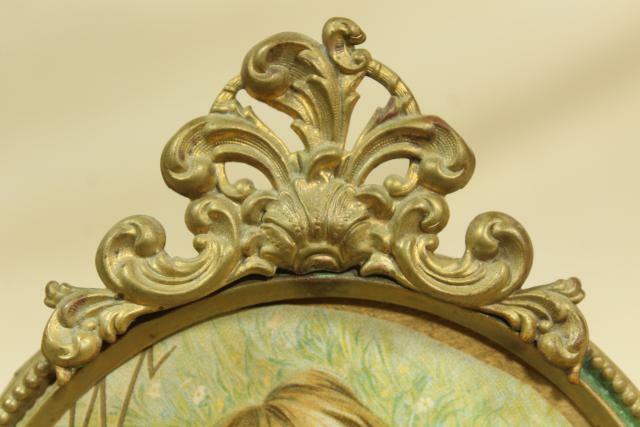 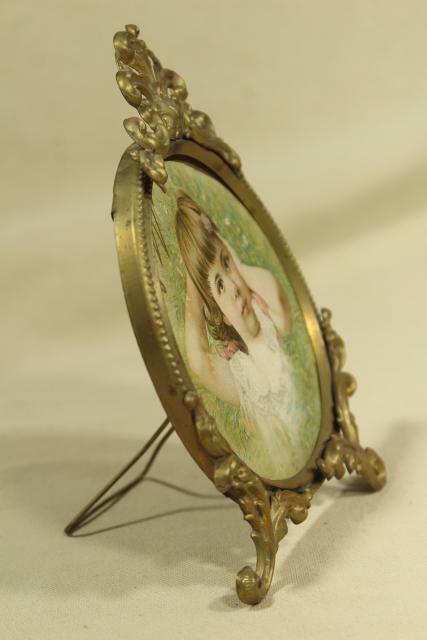 Turn of the century vintage picture frame made of a light weight embossed brass, still showing much of the original gilt finish. 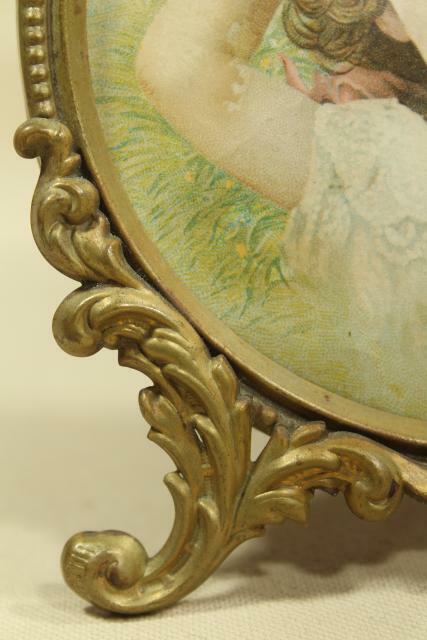 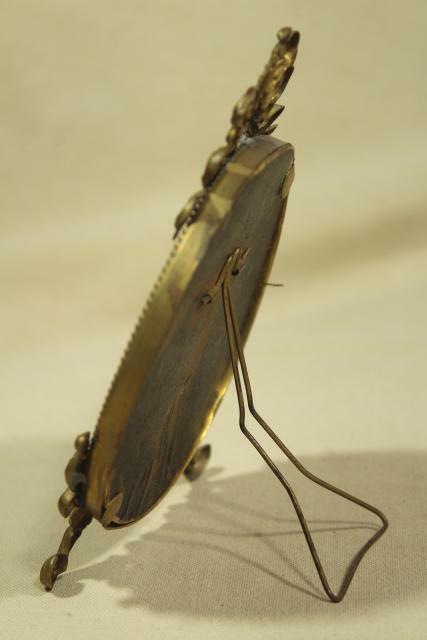 This is a lovely little thing, just right for a Victorian style writing desk or Edwardian night stand or dressing table. 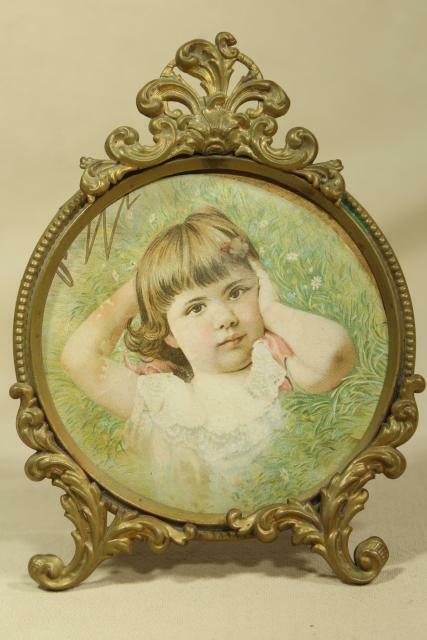 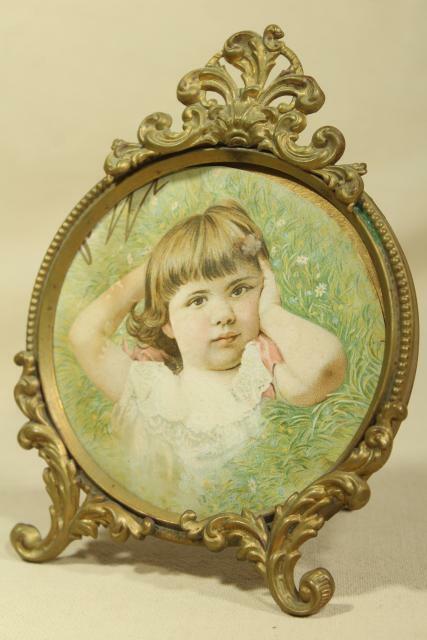 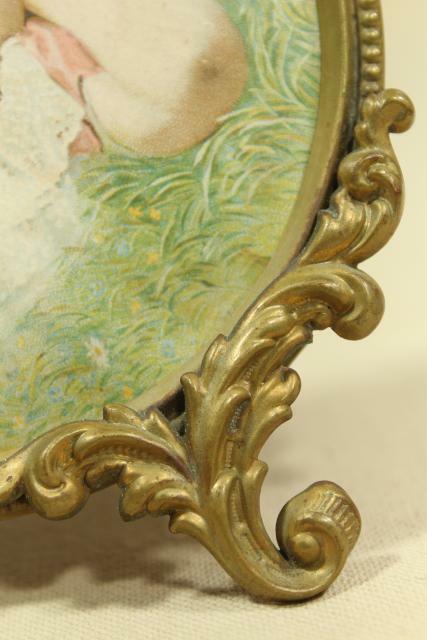 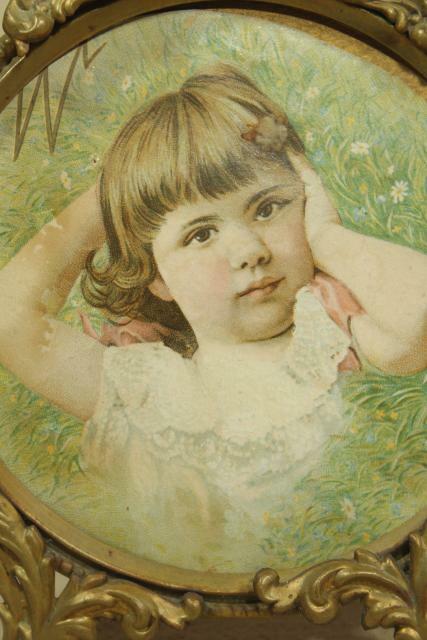 There"s no glass in the frame, though it still holds a period art print of a young girl. 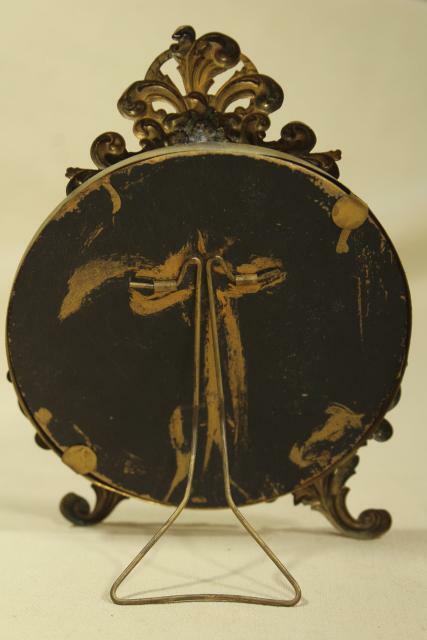 Measures almost 4" across the round opening, about 6" tall overall. 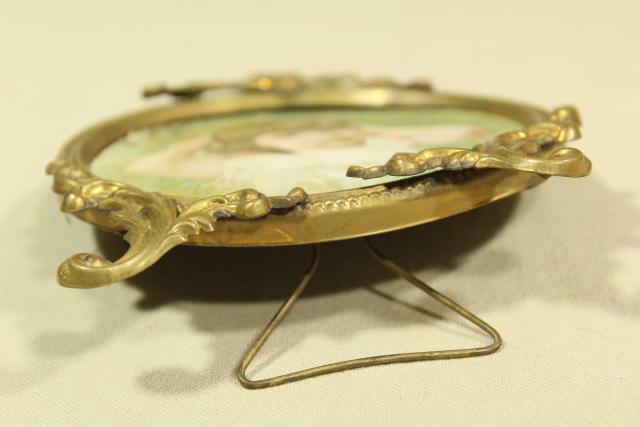 The stand is a little bent, this piece isn't quite straight. 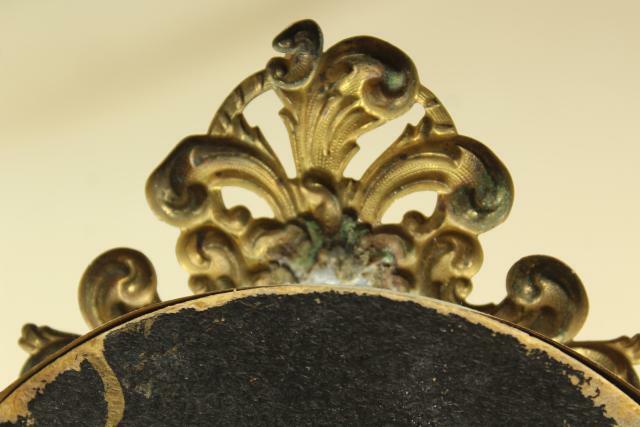 It still stands, and looks very pretty.